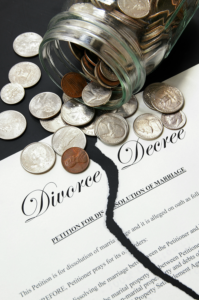 Financial Disclosure in a Divorce - Amaral & Associates, P.C. The four (4) most recent pay stubs from each employer for whom the party worked. Documentation regarding the cost and nature of available health insurance coverage. Statements for the past three (3) years for any securities, stocks, bonds, notes or obligations, certificates of deposit owned or held by either party or held by either party for the benefit of the parties’ minor child(ren), 401K statements, IRA statements, and pension plan statements for all accounts listed on the 401 financial statement. Copies of any loan or mortgage applications made, prepared or submitted by either party within the last three (3) years prior to the filing of the complaint for divorce. Copies of any financial statement and/or statement of assets and liabilities prepared by either party within the last three (3) years prior to the filing of the complaint for divorce. In addition to exchanging the above financial documents, parties to a divorce must also exchange a Financial Statement, also known as a Rule 401 Form. The Financial Statement provides a concise picture of a party’s assets, expenses, and liabilities. A spouse must sign the Financial Statement under the pains and penalties of perjury to ensure it is truthful and accurate. If a spouse would like to obtain additional financial information from their husband/wife, during the discovery phase of the divorce, that spouse may also request that their husband/wife produce specifically requested financial documents through a Request for Production of Documents, or ask written questions of their husband/wife through Interrogatories. Through these many tools, there are several safeguards to ensure that spouses make a full and accurate financial disclosure when going through a divorce.